We manufacture cutting edge carton strapping machines that come in useful and productive designs. Our carton strapping machines are compact and designed in a way that enhances productivity and efficiency. This machine is used for packaging in the pharmaceutical industry. We offer Fully Automatic Strapping Machines. These machines are designed using latest technology and are subjected to customization as per the specifications. The fully automatic strapping machines are known for salient attributes such as good sealing efficiency, low power consumption and reliable tensioning. Model No. EXS-306L used for heavy goods. 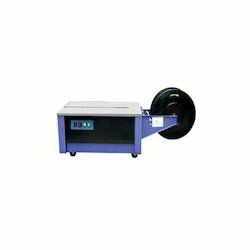 We are importer and supplier of Low Table Size Strapping Machines and Bundling Machine. 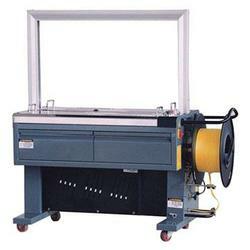 We are offering the wide range Carton Strapping Machines.